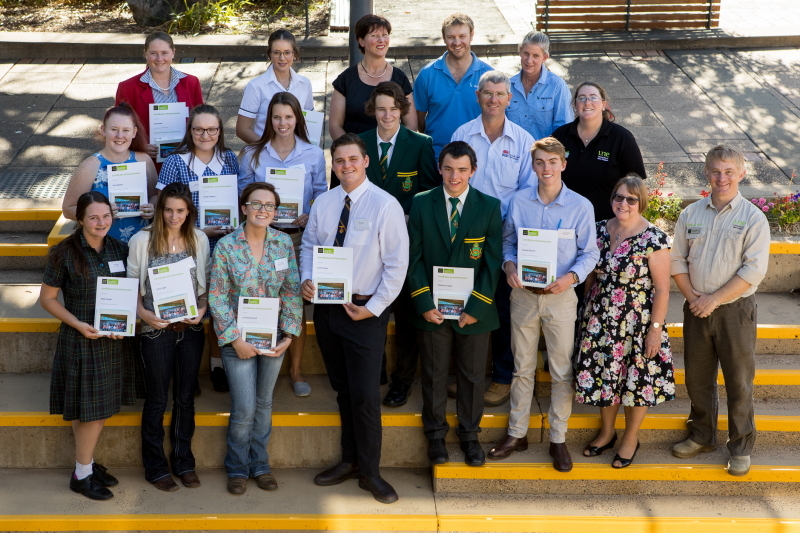 The UNE Growing Regional and Agricultural Students in Science (GRASS) program has just celebrated its 10th year, and is still going from strength to strength. Since the initial pilot of the Industry Placement Scholarship (IPS) program in 2007, the program has interacted with more than 6,000 Year 11 and 12 high school students through school visits, and engaged with 300 students as they completed the intensive scholarship program. The Scholarship is focused on developing greater awareness of science-based careers in Australian agriculture alongside the tertiary pathways to these careers. From humble beginnings with just 10 applicants in 2007, the program is now attracting 40-50 applications each year. The Scholarship program includes an all-expenses paid Industry Placement Camp, followed by a five-day industry placement in an area of work of the students’ choice. Upon completing their industry placement, students report back on their experience and a $300 scholarship is awarded in recognition of scholarship achievement. Last week Thursday saw the wrap up the current scholarship program. Students who had completed the program returned to UNE to present on their experience. Vice-Chancellor Professor Annabelle Duncan was also on hand to congratulate the students. Elizabeth Argue, former GRASS Scholar and now a student at UNE, shared what GRASS meant to her. “This has influenced me to be committed and dedicate myself to achieving the best possible outcome at the end of my schooling year so that I can accomplish my goals of study in the agricultural science field and the GRASS program has significantly contributed to that goal by providing me with the contacts and details I need.” (Gabby Joyce – Oxley High School). Image: VC Annabelle Duncan together with students, industry partners and staff at the recent GRASS reporting back session.